Blackwood Florist quality, hand-selected, market fresh flowers. Delivery all suburbs Adelaide. 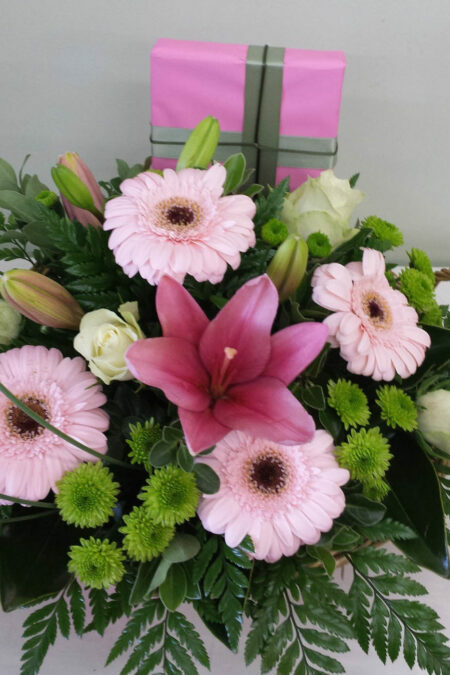 From stunningly simple to simply stunning, flowers for every occasion. 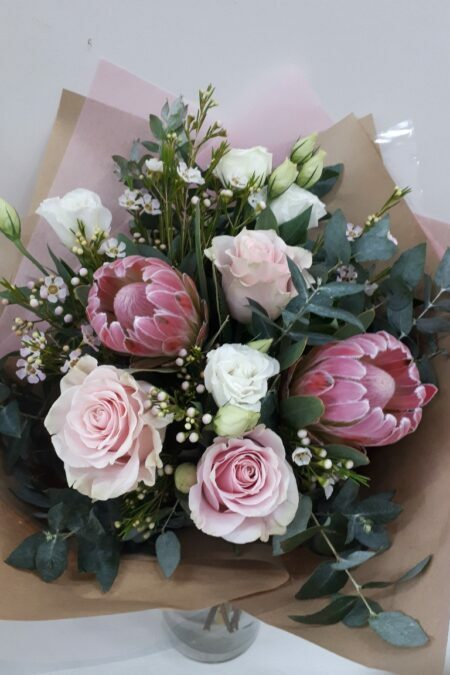 Lovely natural look bouquet featuring Blue Gum, Protea, roses, Lisianthus and flowering wax. Perfect for every occasion. Impressive display of bright seasonal blooms in a seagrass basket. 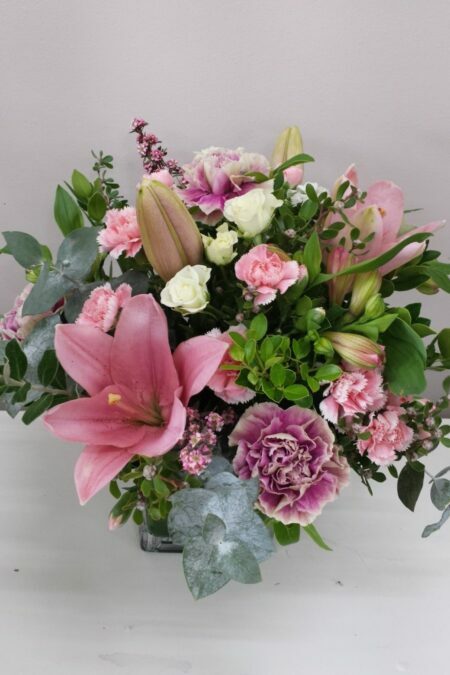 Pretty cube ceramic pot arrangement featuring Lilies, roses, carnations and foliage. Perfect for Mum’s table. 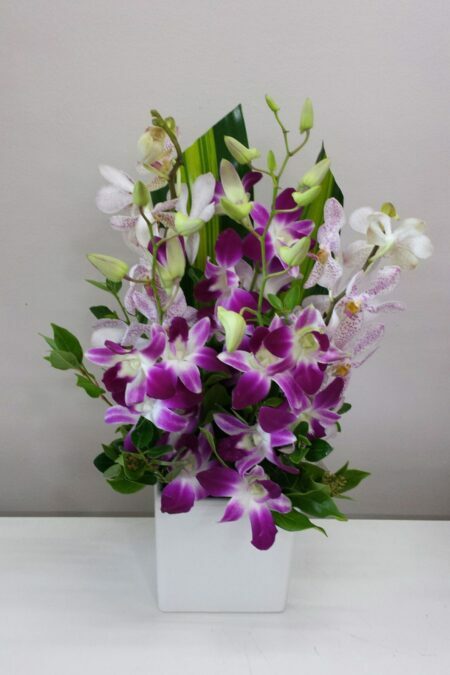 Long lasting Singapore orchids arranged into a ceramic pot. Available in many colours. 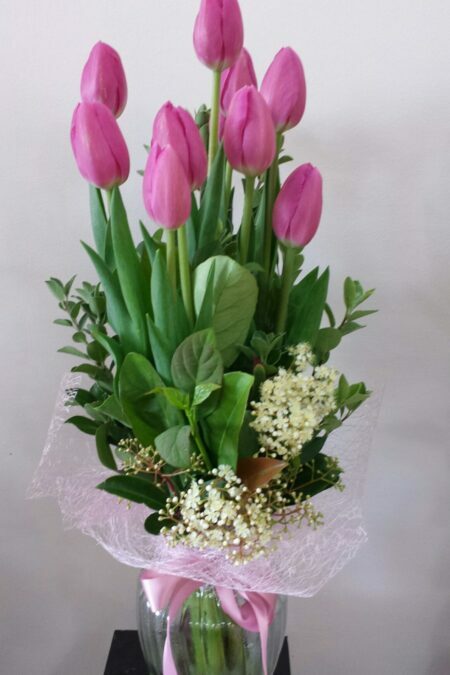 10 stems of beautiful Tulips arranged into a glass vase with decorative wrap. Wild flowers and natives arranged in an earthy wood box. 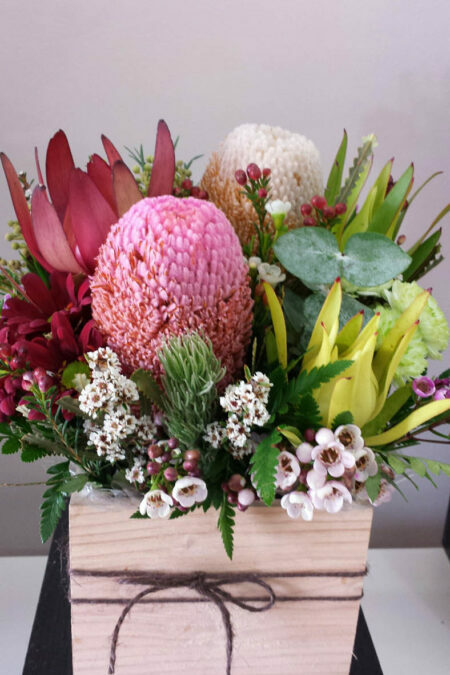 Blackwood Florist is a family owned and operated business, located in the beautiful Adelaide Hills. Since the early 1980’s, Blackwood Florist has been providing fresh, quality flowers and personal friendly service to our clients. 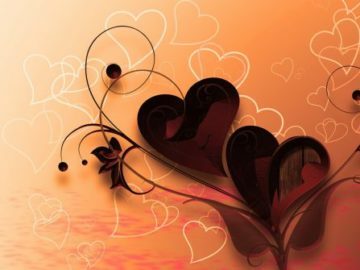 We strive to be a florist that offers variety and creative designs for any occasion as well as unique gift’s and home decorating ideas. As an integral part of the community, Blackwood Florist supports a number of Local fundraising events. Exceptional service, quality hand-selected, market fresh flowers direct to you. 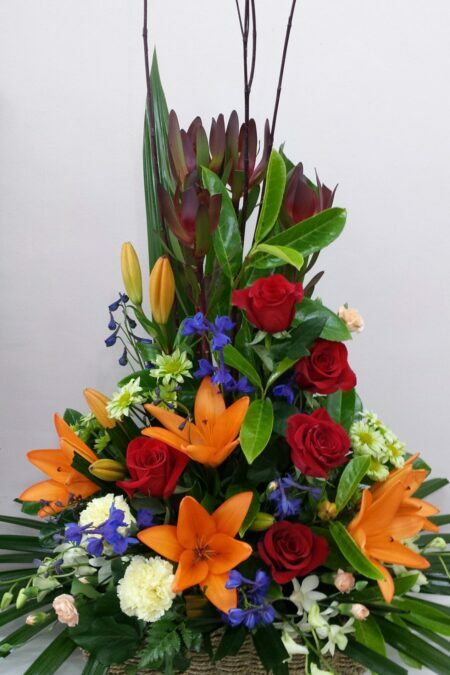 We can create and design to your specific requirements or supply one of our many popular arrangements that are sure to please. At Blackwood Florist we are wedding, event specialists and have years of floristry experience. 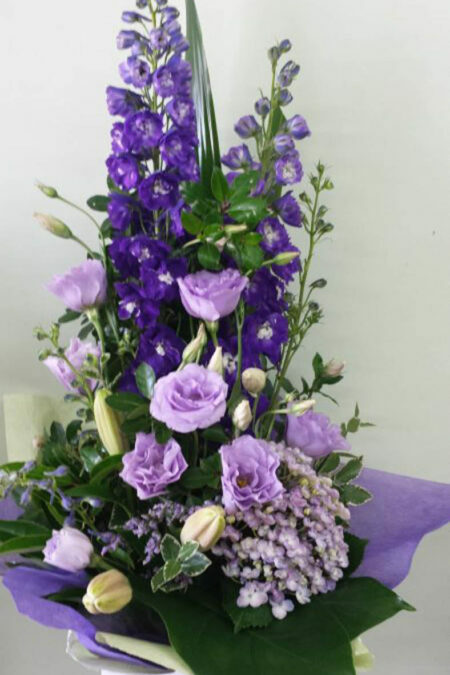 We will help you design your perfect celebration or event flowers and make it one to remember.